Every company is now a technology company - so how do they keep up? In today’s world, by the time a technology has gained a foothold, it’s already fallen out of favour and is being replaced by something new. And now, as every company has to be a technology company and no company is too big to fail, keeping pace in the world of digital transformation requires radical technological changes. Businesses that don’t embrace this change or gather the talent to help implement it, run a serious risk of being disrupted by those that do. But disruption doesn’t have to spell doom for every enterprise. Disruption can be a scary word for even the largest enterprise company – we see it happening across all industries. Thanks to Amazon, brick and mortar stores are closing in droves, resulting in the so-called “retail apocalypse”. The Amazon threat is so potent, just the rumour of its entry into markets causes competitors’ market values to tank. And it’s not just Amazon – the automotive industry is in a similar situation, with traditional manufacturers rushing to update their offerings to incorporate electric vehicles in the face of disruption from growing investments in connected, autonomous and electric cars. Industries that are ripe for disruption tend to be those in which the gap in innovation between legacy enterprises and nimble start-ups has widened to a chasm. While many corporations are still struggling to answer the now years-old call for digital transformation, agile start-ups have moved far beyond – into the data-driven world of the Internet of Things, artificial intelligence, connected cars and more. The most important differentiator between companies that are leading this new wave of business (the disruptors) and those that are lagging behind (the disruptees) is an investment in the underlying technologies driving this innovation. Conversely, companies that are thriving in this time of transition are a group known as “web-scale” companies. These are primarily tech giants, like Facebook, Google and Amazon, who, because of their sheer size and technological prowess, decided to build their own technological foundation, taking advantage of emerging developments and innovation to create technology that provides the resiliency, scale and performance required to succeed in today’s fraught landscape. These “web-scale” companies are often held up as the pinnacle of success in a world in the throes of disruption and it’s this underlying technological innovation that allows these giants to maintain their lead and innovate faster than anyone else. Mark Andreessen, a successful tech entrepreneur and the co-founder of influential Silicon Valley venture capital firm Andreessen Horowitz, famously asserted that “software is eating the world” and in response, many companies rushed to the cloud in an attempt to match the capabilities of the modern web-scale companies like Google, Apple and Amazon. However, this transition to the cloud often ends up eating vast amounts of software budgets, without providing the innovation companies are striving for. Rather than continue to pour money into costly cloud transitions, companies need to refocus on investing in the same tools that are helping web-scale companies dominate the market. These tools allow companies to do many things, including process huge amounts of data quickly, run software on any infrastructure and make the most efficient use of resources. Many start-ups already understand the importance of investing in these capabilities – for example, ride-hailing giant Uber – a major force of disruption in taxi-services, food delivery and a burgeoning force in the race for autonomous cars – has invested significant time and resources in building a modern technology, which has allowed the company to continue innovating and improving its customer experience. For instance, while the estimated delivery time for an Uber Eats order was once just a rough timeframe, based on the distance between your location and the restaurant, and the rate of traffic in your town, by analyzing big data around food preparation and delivery time, Uber Eats was able to improve the accuracy of delivery times by 26% overnight. Investing in technological capabilities like this has allowed Uber to continue building on their platform’s foundation, improving and innovating as the technology advances. For more mature companies, making the transition to this new environment is urgent and a business imperative for digital transformation. In fact, if companies are still waiting to get buy-in before experimenting with proof-of-concepts, it will be too late. They’re likely already in the process of being disrupted or there’s a gathering force getting ready to make a play for their business. While utilizing data and emerging technology is crucial, another way to avoid disruption is investing in talent. When it comes to recruiting, many established companies can’t compete with the “cool” factor of start-ups. 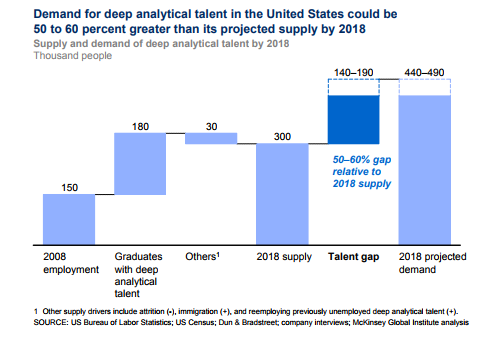 As such, the importance of investing in modern tools and infrastructure becomes even more important as a means to attract and retain engineers and data scientists and over the next five years, McKinsey expects the demand for talent to deliver on new capabilities to significantly outstrip supply. Developers want to work with the latest technologies. According to a recent survey conducted by Stack Overflow, the “languages, frameworks, and other technologies I’d be working with” is one of the top factors they consider when looking at a new job. The survey also highlights some of the technologies that developers are most interested in working with and, unsurprisingly, the emerging programmes employed by web-scale companies and hot tech start-ups are among the most coveted tools. The importance of technical talent and investment in the right tools cannot be overstated - a recent white paper from Sinnovation Ventures and Eurasia Group credited the US’s current dominance in one of the most important burgeoning tech fields – artificial intelligence (AI) – to the engineering talent and hardware in the country. The report also suggests that in the coming years, China may catch up with or overtake the US in AI thanks to the country’s proliferation of data. China has more internet users than the US and Europe combined, giving the country access to huge data sets that are pivotal to AI innovation, as they are used to teach AI algorithms to optimize. This shifting power dynamic highlights the importance of our third ingredient for avoiding disruption – data, an invaluable asset to all companies in our increasingly digital world. In 2006, mathematician Clive Humby called data the “new oil”, and said any company not investing in refining would be susceptible to disruption by a data-driven upstart. Since then, huge volumes of data, from information about consumer behaviour to a company’s internal workflow, has been collected. 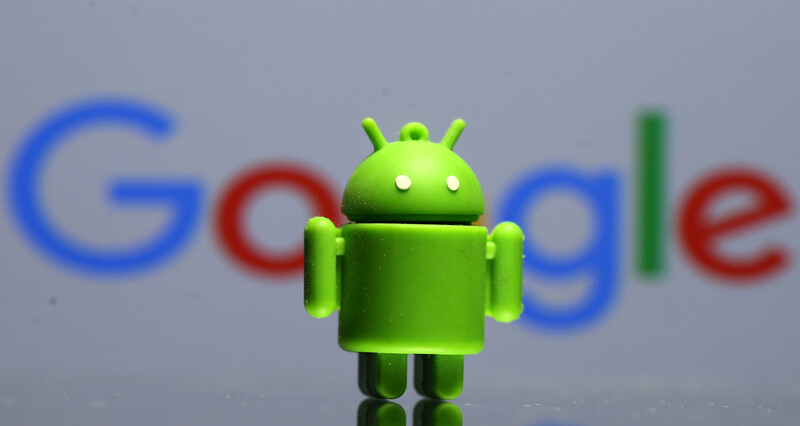 Google alone processes more than 20 petabytes of data per day – the equivalent of the total hard drive space manufactured in 1995. McKinsey projects that, by next year, the demand for data scientists – analytical data experts that utilize computer science and statistics to find insights in big data sets – may outstrip supply by as much as 60% and the US economy could short of as many as 250,000 data scientists by 2027. The amount of available data is expected to double every two years and this dearth of data talent, coupled with the challenges of taking advantage of unstructured data from infinite sources, means the threat of disruption to unprepared businesses will only grow. Airbnb, a major disruptor of hotels and vacation rentals, is one “web scale” company that has made the most of its data by using machine learning to identify optimal pricing for both renters and host, and customer insights to provide heavily customized experiences. It has also championed data democratization inside the organization, creating tools for analysis and providing employee-education around data science. Data will be the key to unlock many next-gen technologies, including artificial intelligence and autonomous cars, and its importance and value cannot be overlooked. Any company looking to thrive in the digital age must recognize their data as a key asset and differentiator. Stories of disruption flood the news and keep executives awake at night. According to Deloitte, nearly 90% of managers and executives surveyed expect “great” or “moderate” digital disruption, but fewer than half say their organizations are adequately preparing. It is more important than ever for companies to get serious about digital innovation and transformation. In order to compete with both the “web scale” giants and nimble start-ups, enterprises must invest in technological innovation, technical talent and data (both collection and analysis) to stay sharp and ahead of the pack in the tumultuous times ahead.